We also have access to entertainers on our crooners.org webpage as well as other domains and social media pages to drive traffic to our events and clients business in general. Join us at: www.ItaliaNetworking.com to stay abreast of our business networking events which are targeted to Italian and Italian Americans as well as Italophiles. 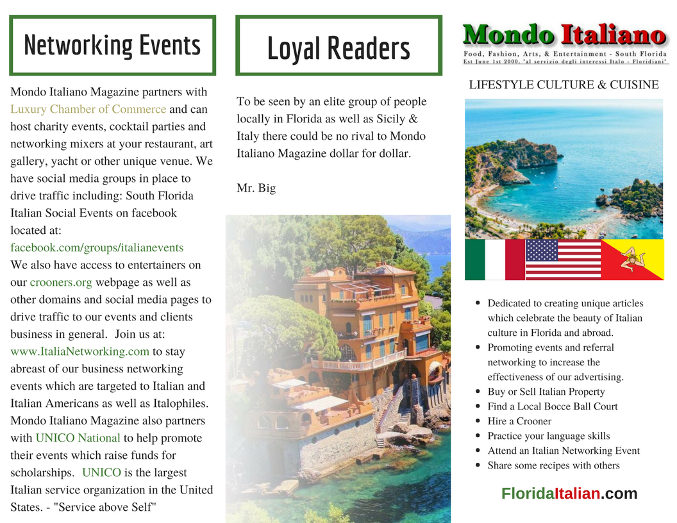 Mondo Italiano Magazine also partners with UNICO National to help promote their events which raise funds for scholarships. UNICO is the largest Italian service organization in the United States. 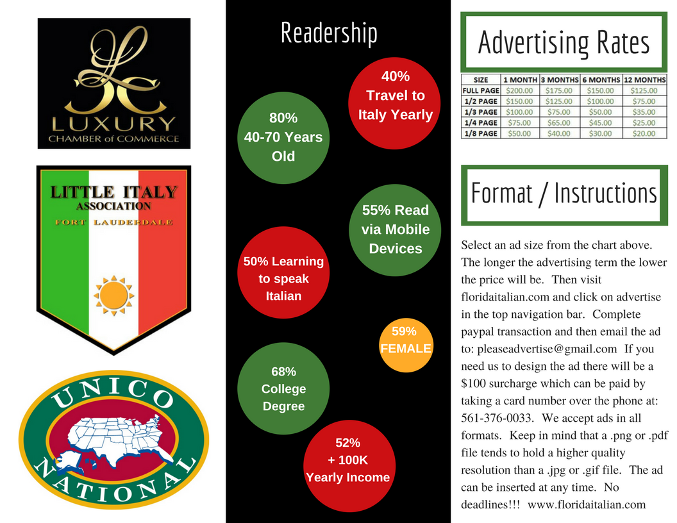 - "Service above Self"
To be seen by an elite group of people locally in Florida as well as Sicily & Italy there could be no rival to Mondo Italiano Magazine dollar for dollar. Dedicated to creating unique articles which celebrate the beauty of Italian culture in Florida and abroad. Promoting events and referral networking to increase the effectiveness of our advertising.